Kate Mccallum, Masterclass Trainer for "Business of Transmedia Storytelling"
Q1. 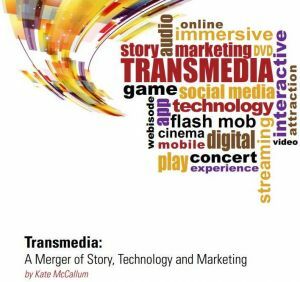 What is Transmedia? What are some of the most “alternative” understandings of “Transmedia” you have come across? Kate: Simply, Transmedia is telling a story or narrative across multiple platforms. Chris Thomes, VP of Digital Media Studios at Disney/ABC Television Group and I collaborated on an article addressing Transmedia that was featured in the PGA's magazine. Here is a white paper I wrote as a simple introduction to Transmedia. Q2. How has Transmedia transformed the media landscape? How far do you think this industry will grow? Kate: Technologies and creativity has transformed the media landscape. 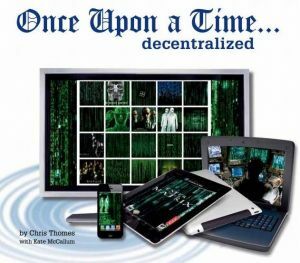 Transmedia is one result of the creative freedom and the ability that artists and creators now have to create and distribute their own content and art to a global audience and explore emerging innovative narrative techniques across multiple platforms. It all starts with story and IP, intellectual properties and how creators or corporations choose to move into the ever-expanding platforms through which they can share their stories/projects/brands. Transmedia as a term may become more defined or it may die out. It's not so much the terminology that is important but the approach and the strategy. Either from a top down strategy executed by major corporations, media, entertainment and educational organizations, or by the bottom up as executed by the solo artist/creator. As more and more new media platforms emerge more and more outlets for sharing story will evolve. Q3. What are some of the upcoming trends in Transmedia? Kate: I believe that we will see more major studios, broadcasters, creatives embracing the strategy from the start of projects versus as an afterthought. I also think that educational organizations and corporations will begin to utilize it as well. I personally hope to see creators considering and generating more socially relevant projects that include educational and philanthropic experiences as extensions of their storyworlds and IP. 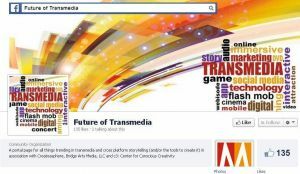 I also post relevant "Transmedia" related findings on a FaceBook page called the "Future of Transmedia".